We all know what happened last Sunday…. We all gathered around our televisions to either watch the football game, which was quite the game, by the way, or the commercials, which had their ups and downs (c’mon Nationwide…was that necessary?) To be honest, we are all probably most excited for the Super Bowl spread as opposed to anything else. Wings, hotdogs, chips, and dips. What’s not to love? We had an excuse to chow down for a full four hour period of time and not feel guilty about it because, um…hello? It was Super Bowl Sunday. 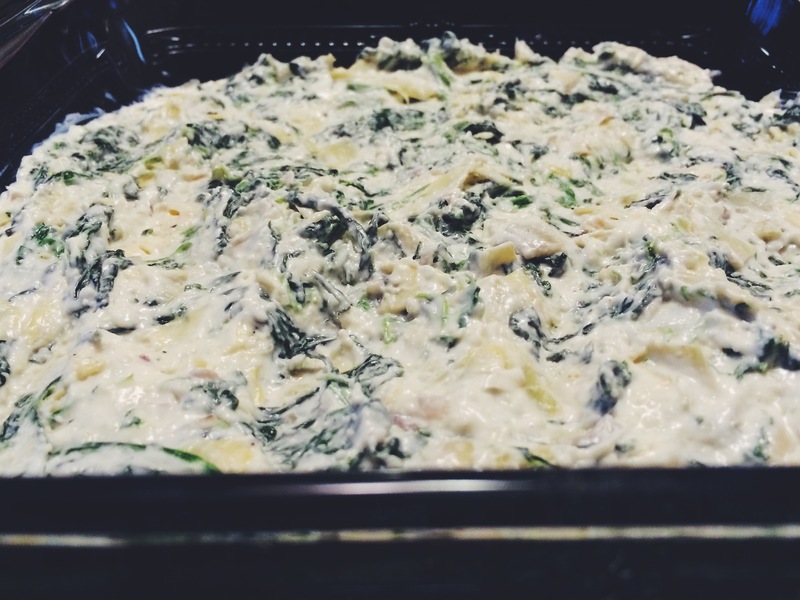 I personally made this dank Spinach and Artichoke Dip from Bon Appetite. I was scrolling through my Twitter feed and bam! There it was. Looking all hot and tasty. So, I thought why not? Dips are pretty easy to throw together and they are usually crowd favorites for parties. Plus, anything that combines cream cheese, sour cream, AND mayonnaise is probably worth the fuss. (All full-fat versions, by the way, none of this low/reduced fat nonsense up in here. C’mon…it’s a holiday. Live a little). THE METHOD. It’s pretty simple really. Cook this. Chop that. Throw everything together and stir. Bake until bubbly and delicious. Okay…fine. I’ll go into a little bit more detail. In a skillet over medium heat, add your oil and sauté the shallot until softened, about 5 minutes. Stir in your garlic and cook another minute. 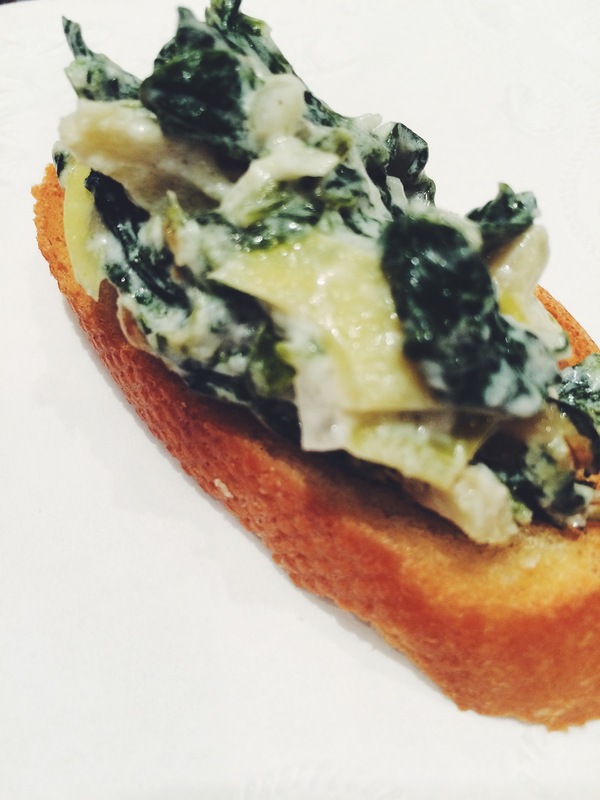 Add your thawed, DRAINED, and chopped spinach. Cook for a few minutes. Season to your liking with salt and pepper. Set aside and allow it to cool. In a large bowl (or food processor if you really want to get that dirty) add your cream cheese (at room temperature), sour cream, and mayonnaise. Stir until smooth and combined. 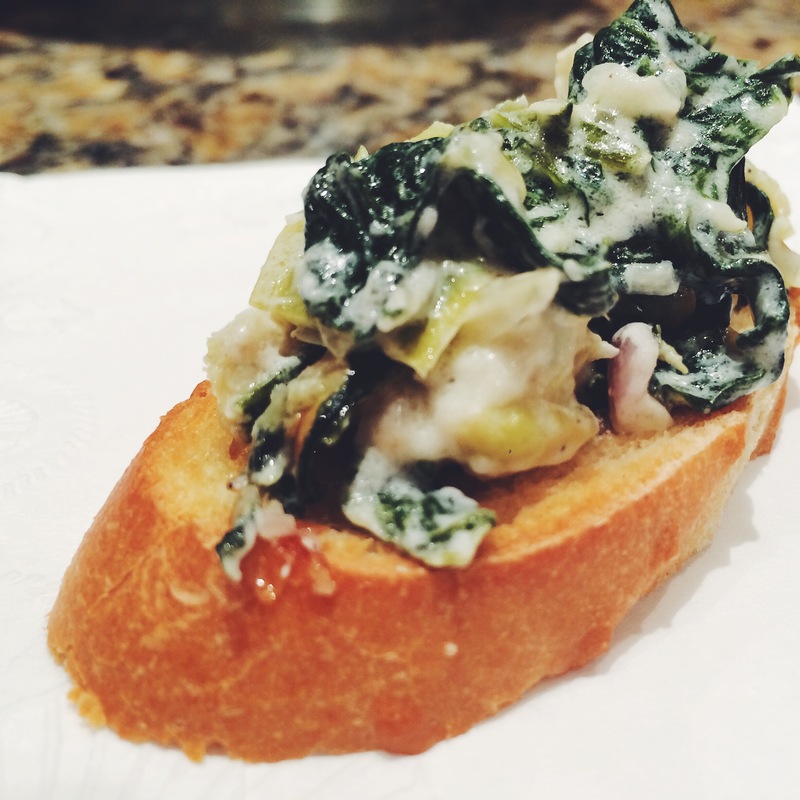 Fold in your chopped artichokes, spinach mixture, and parmesan cheese. Season with salt and pepper until it tastes delicious. 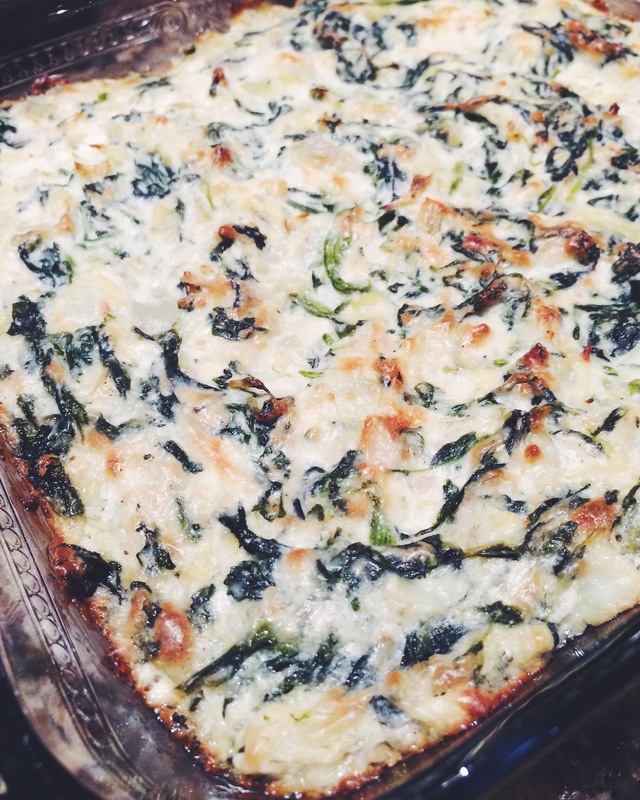 Place in a quart-sized baking dish and bake for 20 minutes or so. Allow it to cool slightly before serving. Serve with the vehicle of your choosing. ENJOY IT. Not that this tip is necessary. 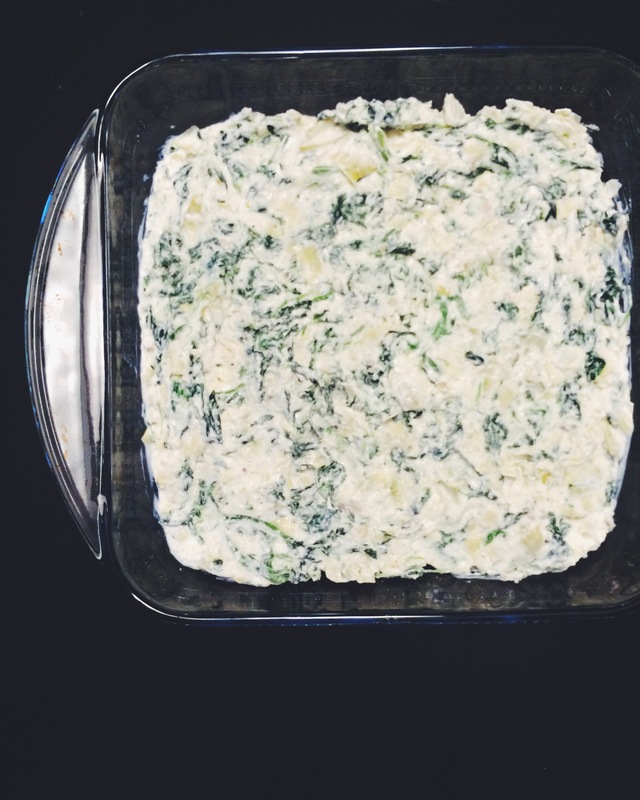 We have homemade spinach and artichoke dip. Who needs to be told to enjoy it? Certainly not this girl. 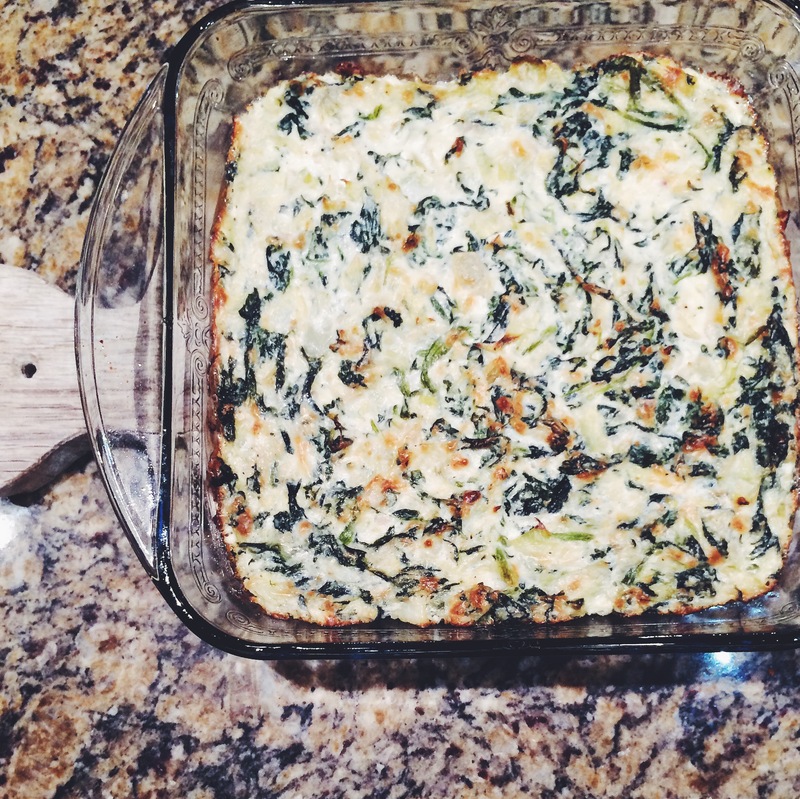 This particular version is thick and luxurious…the way all dips need to be really.